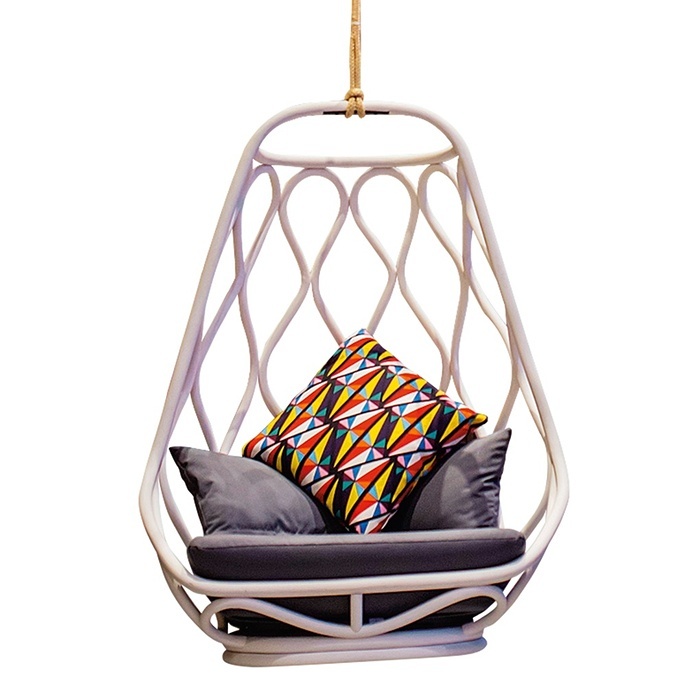 This swing is one of those pieces that you simply want to have in your garden or outdoor space. I will have my very own garden in London very soon, and so far I quite like the idea of sipping my G&T after work while rocking away in one of these. According to Mut Design: This design evokes the contrasts in nature, through a delicate play of shadows in motion that reminds the reflection of the light on the waves of the sea. 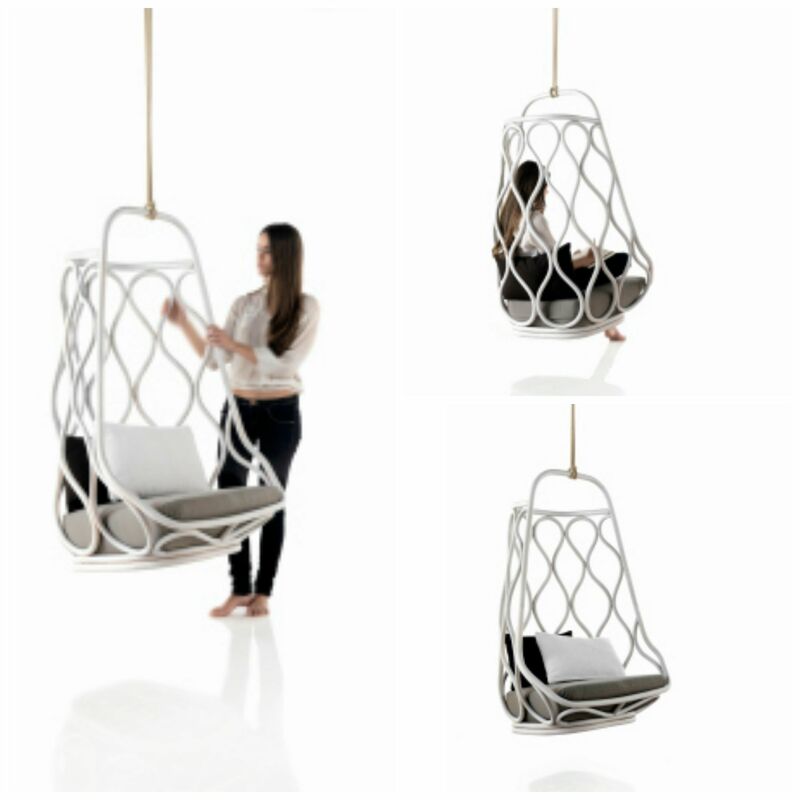 Strong and sturdy, this visually lightweight seat may be integrated seamlessly into any environment, either suspended from a tree branch or from its self-supporting structure. 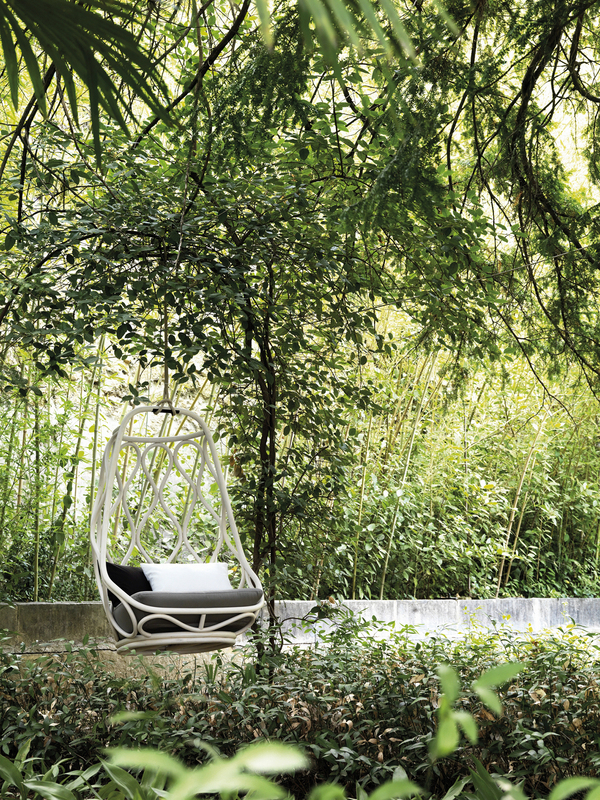 The structure and backrest are made of natural, peeled and tinted rattan. Mut Design is a Spanish-based studio founded by Alberto Sánchez and is made up of a multidisciplinary team. I like the fact that they are independent and creative. They have exhibited regularly in different international fairs. The Spanish edition of AD Magazine featured them very recently and described the studio as the most Scandinavian one in el Carmen, the trendy neighborhood of Valencia. Check it out here. I wanted to feature this piece, but do check out Roots, Gradient and Leaf. These guys are going to go far. Nautica is distributed by Expormim, based in the Spanish city of Valencia. Another key company for outstanding design. 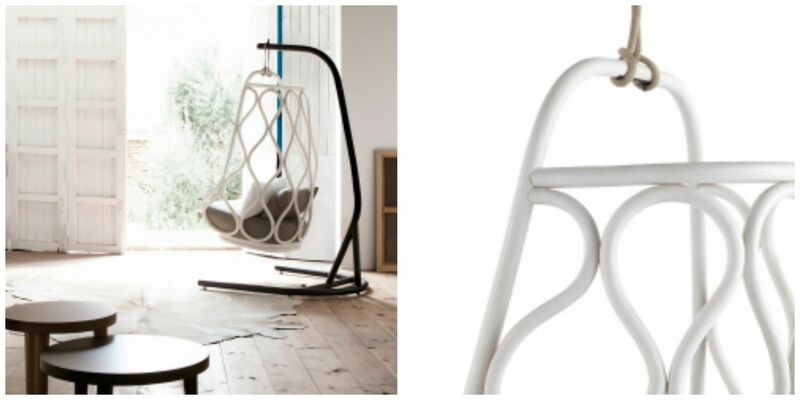 Earlier this year, The Guardian featured Nautica as one of the best hanging chairs in 2015. And this autumn it will be featured by The Royal Horticultural Society at RHS London Shades of Autumn Show (23-24 October). Don’t miss the chance to experience it by yourself. Everyone needs the perfect place to relax-this is a brilliant solution. And I also love the Leaf swing with its shadows that create a design in your landscape.